Work for Open DNS Umbrella? The technology that DNS Umbrella is very good, analyzes very well the page to be entered to define whether it is a stable connection or a malicious connection that can transmit malware or cause any damage to the system. "Keep your connection secure with OpenDNS"
What we love most about OpenDNS umbrella is that it has a modern and intuitive interface. At the time we had to do an update of a system prior to this and it was very easy and comfortable to do. It complies with all the features it offers and our company has done very well in terms of security for users or employees. The truth is that we do not have many negative things to say about this program, in the time that we have used it in our company it has been very useful, however we can mention that sometimes there are often delays when it comes to carrying out searches. Whether your company is large or small, if you want to keep the connection and navigation of your company, your employees and your customers secure, OpenDNS Umbrella can offer that and much more from one place as it is an ultil, effective and easy tool to use. OpenDNS has given our company quality and security in the network and servers through the DNS and at the same time we have a better connection. We have been able to protect the vegation of our customers and workers from unsafe sites and even deceptive advertising by using navigation monitoring. Without a doubt, OpenDNS is what a company needs. It provides security with the information acquired by the company, which is the fundamental basis for the proper functioning of the internal system of the company so that nothing bad happens with the files and the important documentation that is stored in the company's devices. This software is very good, it is reliable and safe for the internal network of the company, it has a great security system that can calm any cyber attack. "the solution to cyber attacks"
"protection against phishing and identity theft"
is a great security platform that generates a lot of confidence, detects when there is phishing, identity theft or malware is very safe and too good I do not regret having acquired it is the best. The work he does is very effective is to have the company safe from any attack that may be caused but with this platform installed there is no need to fear. What a difficult question, I have no bad answer for DNS Umbrella seems good and I will not write anything bad because the experience I've had with Umbrella has been very good has not failed me nothing I have nothing because complain. The company is safe in the network we know that nothing bad will happen to us because we are protected by DNS Umbrella that takes care of the data and information of the company, it is good to have this type of software installed to take care of the network. "all devices can have security"
It is a very easy to use software that can be used on the computer, tablet, cell phone is very good because it protects all these devices that are very important. The possibility of ponder this software in other devices apart from the reader is the best thing that they invented and thought not only the computer fills with malware the other devices also and nobody thinks about it as if they were not part of the work as well. Initially when I started with DNS, it was difficult for me to know how it worked and everything I had about menus did not understand anything because the appearance of the page is very basic, which makes it lose and does not understand how the function really is. Having cell phones free of malware is to be sure that some of the information of the company will not be filtered and will be safe on the person who speaks. I use too much information in the cloud and that is why Umbrella with its intelligent function of detecting malicious viruses in some file is of great importance for my work that takes care of me and I am confident that it will not be damaged. "Cisco Umbrella protects all our users"
Cisco Umbrella is an excellent program of quick installation, easy to use and implement and in a few minutes can help you protect all your customers by integrating it from the cloud against threats or attacks on the Internet. And it's great to protect our DNS security. We really do not have a complaint or we can say that we do not like Cisco Umbrella, so far it has worked well for us, we can only say that sometimes it is not very effective when categorizing or blocking social networks that are not in English. But the rest works perfect. This is not a program to control your users, but to protect them from the threats and insecurities that you may encounter while browsing the web. We recommend that you do not forget the importance of informing them about websites infected with harmful ads that they may find while browsing and that put their information at risk. This is an excellent program to prevent those problems. Con Cisco Umbrella hemos podido controlar las amenazas o cualquier problema. Es muy bueno monitorear el uso de las redes, configurar políticas de seguridad para la navegación de nuestros clientes. Con él podemos prevenir ataques maliciosos como malware, phishing y minería criptográfica. Y los informes que proporciona en los sitios visitados por los usuarios de nuestra lista de permitidos son eficientes. También podemos mencionar que el programa ofrece lo que promete y sus precios son accesibles. "Umbrellas, the best in security at a fair cost." Cisco umbrella protects the whole network. While you can have an agent installed on machines to provide more protection abilities and filtering, you more than likely have IoT devices on your network and you want to make sure those aren't working with bad actors. Umbrella is lightweight and the geniuses behind it are constantly finding ways to thwart evildoers. When we initially put in umbrella we were spending over 40 hours per month on fighting crypto viruses and that dropped to 20 hours for the next 12 months. It has paid for itself easily. Every once in a while it conflicts with an app and we need to turn it off to troubleshoot, see it working again, then create a ticket to get support to resolve the issue. The number of times Umbrella has prevented crypto from entering an environment is countless. If crypto gets into a desktop, it doesn't let it communicate with the bad actor's server and notifies us in Connect Wise that a computer needs to be cleaned of a virus. We can take a look at our antivirus suite and see that maybe a dozen items are blocked in a month. Looking at the umbrella, there are literally millions of bad data points that are being rejected. So I recommend this software over any other. We are an MSP with 7000 endpoints that we support. Umbrella is not optional for our clients. While antivirus is required, it serves as a checkbox. Umbrella is what does all of the heavy lifting for us on the antimalware side of things. "Cisco Umbrella keeps you protected"
Cisco Umbrella provides insight as to what users are browsing that is unknown to them, like harmful ads, malware infected websites, phishing sites, etc. We can then help educate and train users what to be on the lookout for and improve our first line of defense—our users. We don't use the service as a tool to catch our users, but to train, educate and protect them from the bad actors that lurk on the web. Cisco Umbrella is used across our whole organization to protect the network from malicious web traffic that might be due to malware, crypto mining, command and control, phishing or other sources. With the virtual umbrella appliances connected to our AD, we can identify the computers that might be infected, but stopped from talking to the outside, and get them cleaned quickly. It's an important layer of DNS security. We selected Cisco Umbrella while they were still OpenDNS. It was a solution to filter internet content in the residence halls. The capabilities that have been added are tremendous. We really don't use the content filtering aspects as much, as the students can just turn off their wifi and use their cellular plans to get to anything they want. The primary use of Umbrella is protecting our users from the malicious sites that are out there. "excellent security tool in our private connections"
In many areas OpenDNS umbrella means a change in the way of working of our company, the interface is very intuitive and the best thing without a doubt is that the migration of a previous system to this one is very comfortable, although the interaction with the user does not It is so direct, if it offers great security. Due to the time I have been using this service, I do not really have much to say that I dislike, however, it could be mentioned that in some occasions there are small delays in the searches, but I guess it is normal in a security service more than that no other problem. In essence OpenDNS umbrella is thinking for companies that really have many employees, due to its functions I think it is mostly useful for companies where the flow of information is very high, and also the number of workers is large, on the other hand it also serves as an excellent security monitoring and control tool so in essence I think it would be better for companies with many employees but also small companies could use it to check the functions of their workers. With OpenDNS Umbrella have been able to solve problems with data leaks, and reviews of inappropriate sites by some users, due to its monitoring and security we have also prevented the entry of different types of attacks from misleading advertising that some employees unknowingly select , in essence, its security and navigation protection section has helped us. From the many features Open DNS has to offer, my favorite is how it keeps everyone in my company safe, and the company itself. Without it, many people would be trying to scam us. The service Open DNS provides is extremely reliable. One thing I dislike about Open DNS is how tricky the installation was. I found myself messing up a lot of parts. Once I was past this though, everything worked perfectly. Familiarize yourself with the program and what each part of it is before setting anything up. This will make your life easier because you'll know about every thing Open DNS does. I'm solving many different business problems using Open DNS. One of the most important benefits would be how it blocks out unnecessary websites that people may encounter during the workday. Another thing that helps us out a lot is that everybody could be worry free while browsing the internet. Everything is protected under Open DNS! Out of all of the features that OpenDNS has to provide, my favorite is how it protects my family and friends in the workplace. We can freely browse the internet without having to be worried consistently of viruses or bad websites. We can block everything out that we do not want. I don't dislike anything about OpenDNS. If I had to choose something, it would probably be the way the application is designed visually. I feel like they could slightly improve how it looks, but other than that it is not bad at all. I recommend that every company uses this program. It's amazing! OpenDNS has made it exponentially easier to communicate with everybody around the office. On top of this, it has made everyone work more efficiently because we have been able to block out websites that do not need to be browsed on during the work day. What I like most about Open DNS umbrella is the traffic monitoring and security offered by the users' browsing, these two qualities that offer a lot of security tasks. I think that although it is a very useful application and service, it requires a more or less extensive knowledge to be able to operate it in a good way. It is a very useful service but it does not include explanations to know how all the functions are applied. Open the DNS umbrella is certainly for companies with functions that require constant Internet browsing and data exchange, control and security functions focused on the control of navigation very useful for this type of companies. The utility that gives the company the most is for security tasks in navigation and the prevention of infections through viruses that employees download many times without realizing it.
" Elimination of problems instantly"
Undoubtedly the best thing that OpenDNS umbrella has is the optimal capacity to stop and eliminate the possible viruses that damage the network where we work. A not lesser scope that could be improved in this tool is the ability to work with low-end equipment since its security is currently quite weak if you do not have a robust equipment. To use this great tool, knowledge is needed, however, once it is up and running, security within the enterprise networks improves a lot. The biggest problem we had in the company was the viruses that spread through networks or websites, since we have free Wi-Fi in our vehicles and customers often infected the remote terminals in the cars, which was a big problem but Now it does not happen a long time since the implementation of this tool. "One of the best options for safety"
The security to navigate is definitely one of your best tools, with Umbrella I can feel the security of not entering a virus that damages my information. There is not much that I dislike of Umbrella, but without I think that they could improve a couple of things in terms of the configuration since sometimes it is somewhat confusing. If you want a good security system, you should definitely try Umbrella, it does not matter if you have a small or large company, with Umbrella you can feel more security and more freedom without worrying about system failures. Umbrella protects our files and important information from a computer virus or a general failure, since we use Umbrella we can feel more secure when working because we know that nothing bad will happen. "Quality When It Comes To Protecting Your Equipment Against Any Threat"
What most attracts me the attention of this product is that you can use it in any device being so that not only would be protecting your PC but, your cell phone, tablet or any other intelligent device in this same way the software as such is 100% friendly in That sense provides a high level of confidence when the user goes to work with the tool. I don't dislike anything, what I've been working on with him has been perfect. I recommend this software those companies that have their employees access to the Web to be able to take care of their equipment at the same time to their companies, it will work perfectly. This solved many problems with security, since we have those problems ended, our data is more secure. "Security and surveillance for the company"
I really like the security it provides that I can rest assured that it will not be deactivated or at any moment it will stop working. I have been with Umbrella for several years and I like it a lot. "Security and confidence on time"
It provides effective solutions to institutes, schools, universities, libraries and other learning centers, as far as internet is concerned. With your help, communication between different departments in a study center is more efficient. All connected through the network provided by this company. It is easy to use, easy to configure and manage. It is ideal for institutes, educational centers, libraries, schools and universities, as well as at home. This security improvement fixes certain problems present in previous versions. Connection between the different departments of the university, including the internal schools to this and the library. Facilitating communication between different workers and administrative staff. "Robly the big difference when sending emails"
"open dns surprise with such quality tools and incredible service"
open dns has allowed us to advance and scale towards the professional in an easy way with tools that have optimized 100% our support systems and communication with our clients every day that we like to offer quality and with open dns we always have the best connection and All the communication that a professional company must have besides giving us the necessary security to link our servers and systems is very rewarding to have such a powerful tool in our benefit. 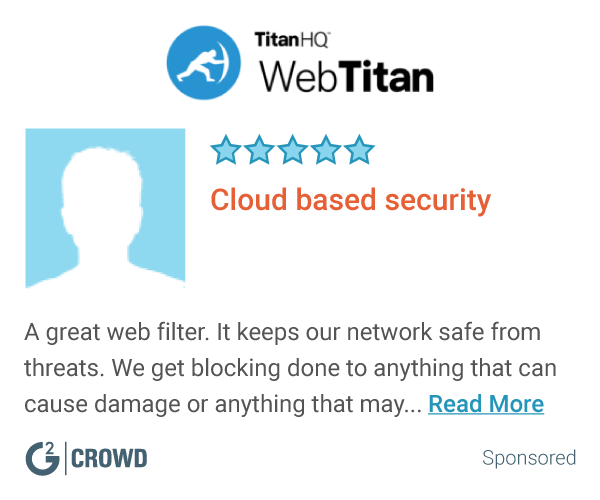 "OpenDNS Web Filtering is amazing!" Umbrella is what does all of the heavy lifting for us on the antimalware side of things. It helps us meet certain filtering requirements required to pass audit and obtain certification. The IT team primarily implements this across the company . very once in a while it conflicts with an app and we need to turn it off to troubleshoot, see it working again, then create a ticket to get support to resolve the issue. A problem to be highlighted is the blocking of different applications that are presumably suspicious but that are of the company's use. When they are blocked, the download or transfer processes must be carried out again. "Data protection and important information for the company"
Open DNS is quite possibly the most convenient internet security product out there. It's super easy to use & to setup and once you setup everything you won't need to comeback unless you want to see statistics. The website design might be a little confusing at first but once you know how to navigate through the website you're all good. This is a great and inexpensive tool for all businesses. You might want to use it if you want to block certain websites on your network. Using Open DNS we're blocking in our business harmful websites, gambling websites or any other websites that might distract our workers. It makes me feel comfortable and safe because I know that family and children are safe. It also did not take very long to set up the application, which is nice. It is simple and efficient to use. Would definitely recommend! I don't necessarily dislike anything, but I would not complain if they were to update the interface more. Very good if you would like to have some sort of protection online. I feel more confident with my business knowing that we are protected from viruses and scams online. It puts all of us at risk if we do not have this program. As an MSP Open DNS Umbrella offers a single portal to manage all your OpenDNS customers. The policy builder is simple and easy to use, and the basic implementation of the system can be done (including the deployment of VAs and AD connectors) within an hour. PSA integration and deployment from an RMM also makes deployment of this product very painless. With the MSP version AD integration is only possible with the use of a virtual appliance for the AD connector to talk to. This restricts the deployment to smaller or purely cloud based customers. We currently Open DNS Umbrella for providing a comprehensve DNS level security for customers who do not require a content filtering platform. We also have a number of customers who work and offer services to vulnerable children and adults. Open DNS allows our customer to provide a safe and secure environment for their service users. "Data protection in a safe way"
We handle a lot of information from users with all their personal data so we decided to invest in Umbrella DNS to protect this important data, and since there is security all the data is safe and we are sure that all the information stored is protected. From so much information that you have to protect I feel that sometimes the system is a little slow and this affects the work. Thanks to its tools of protection of the navigation that we have in the company it is much more safe, besides the internal managements of the application that allow to verify the web sites. The application has many tools to use and I believe that in order to do it correctly, something more than basic knowledge is needed to manage it perfectly. Virus attacks on web pages have been greatly reduced, thanks to the protection and early blocking of Open Dns Umbrella. "Inexpensive tool for bandwidth and content control"
We use some mediocre Linksys routers at our smaller remote offices that do not allow limiting the DNS that is used. To fix this, we have initialized group policies on each machine to prevent the service from being circumvented. The only limitation I found was that in some offices, I could not limit the traffic from alternate DNS servers at the router level. Savvy users easily circumvented. A lot of our smaller remote offices have limited bandwidth, where streaming video or music can make the VoIP call quality suffer. Cisco Umbrella helps with this. "Open DNS Umbrella Is A Quick & Easy Win"
A very well thought out system for filtering web traffic. Easy to build a configuration, and a clean dashboard to see and manage the whole product. Setup is very intuitive for anyone who has used products of this type before. There does not seem to be a way to bulk edit destination lists once they are created or imported. It works best if you are trying to block a certian site from your metwork. We can now feel safe because our data and information are completely safe. Umbrella when used in conjunction with the on site virtual machines is so fantastically simple to use, it makes deployment a breeze! Deploying the OVAs and pointing your clients to them is as easy as deploy, block and done! Anyone can do it. Generally speaking, Umbrella is a bit on the slow side to update clients with new security settings. While I do realize the time is also dependent on your own network speed, the push from the cloud dashboard to on prem would be a ton better, if you were able to manually set the sync instead of waiting for the time period. Clients tend to use the company network as their own personal home network, and with Umbrella, I can not only limit that, but block what I want to, when I want to. Productivity should rise when not all of the users can browse facebook and social media at work like they used to. "Some worthwhile points to consider, but implementation documentation can be confusing." I like the idea of DNS query filtering beyond what's typically available at no cost. I like the ability to do reporting on the data to get insights not typically available without manually collating DNS lookup data. I also like the idea that if DNS results are returned for malicious websites or services you can point a finger at your vendor and that provides some CYA. I dislike the implementation documentation, the confusing nature of the setup calls, and overall the idea that the sales people don't really grasp the technical requirements for enterprise rollouts. They just sell sell sell and really don't take the extra time to learn current architecture, caveats, etc. They solution requires virtual appliances (which they weren't very helpful designing architecture) and installing agents on the domain controllers (which they also weren't exactly upfront about). They left me and my team to learn the ins and outs and design the rollout. We also had to enable different audit logging on our domain controllers and they didn't tell us that either. Look at other options, vendors, etc. Beware of implementation pitfalls and unhelpful sales/tech staff at OpenDNS. DNS queries by malicious actors or software are no longer being served. We have a better understanding of what domains and subdomains are regularly requested and visited. We also feel more prepared when it comes to being proactive with security. With the new appliances that are available for on-site deployment, being able to integrate with AD for increased granularity in metrics and visibility is superb. They also allow for split DNS processing for internal and external DNS queries which also further harden the DNS infrastructure from client workarounds. The initial deployment can be interesting as the permissions required for some of the agent/scripts is not something that may be in place already. Just give it a try with a good partner, you will not regret it. Umbrella allows for the filtering on DNS queries to enhance security at a very base level -- allowing for lower workloads on IPS/firewalls in the organization. "Trusted security base at a fair price"
The prices they handle are fair and good. It is easy at the time of configuration and every update that it requires. The Cisco Umbrella product works great for both Malware protection and web filtering. At its basic level it will provide malware protection when forwarding DNS requests to it. Easy to setup for a MSP. It can be setup to drill down to the user level for web filtering and more. The product does take a little bit of training to get all the functionality. Between roaming computers and properly setting up policies. The malware protection alone slowed down the volume of calls received because of infected computers. It also allowed us to offer web filtering to our clients with an easy setup. "excellent security program in my company." OpenDNS I love it, it has been a very useful program in my company, I have been using it for several years and it has protected me from people who try to cheat and viruses that are found in the network. at the beginning it is a bit complicated to configure, requires extensive knowledge in networks, the rest is very good once configured. It helps me keep my employees safe virtually, to prevent scams and hacks. I like using Cisco Umbrella OpenDNS as it has a lot of options to use to monitor network activities and reports. It also has a clean interface and navigation is not too difficult. The system also has a lot of functionality. The only thing that I really dislike about using Umbrella is that there are so many options it can get confusing when initially using the program. Because of this I'm still getting used to the system although I have not been using it for that long. Open DNS Umbrella is allowing our company to easily monitor our network and provides a strong level of security that is hard to find anywhere else. I like that Open DNS has a great ease of access. There are a lot of things that I could go on about that are fantastic, but not enough time. The only complaint I have is that I don't like the layout of the website. Open DNS is providing our customers with a great and reliable service that is un-matched. It benefits everyone by having this amazing service readily available for our customers. "Good program, very useful for my company." I like everything, it is very useful and it helps me control the virtual part of my company. The main problem that solves me is to control the activity of employees, prevent them from connecting to unwanted pages in the company and avoid viruses and malware. Learning about Open DNS Umbrella? * We monitor all Open DNS Umbrella reviews to prevent fraudulent reviews and keep review quality high. We do not post reviews by company employees or direct competitors. Validated reviews require the user to submit a screenshot of the product containing their user ID, in order to verify a user is an actual user of the product. Hi there! Are you looking to implement a solution like OpenDNS Umbrella?